With each new mode of transportation, Santa Claus has gotten an upgrade. 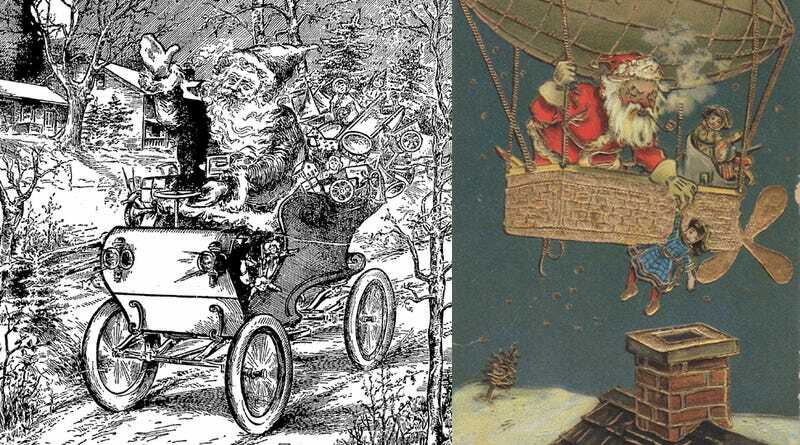 In the 1890s, Santa got an automobile. Then in the 1900s he got flying machines. In the 1950s he even got a rocket ship. Today, Santa gets around on a hoverboard. Yes, it’s not a “real hoverboard.” But it doesn’t really matter. Because every generation gets the Santa sleigh that they deserve. And this year, we deserve Santa hurtling off a two-wheeled handlebar-less Segway, pulling down the family Christmas tree, and laying on the floor in complete resignation — left to contemplate humanity’s many failings in 2015. Happy Christmas!